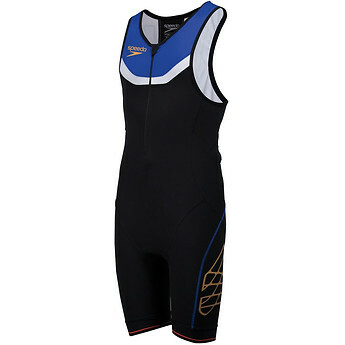 Flexibility for light speed The Photon Male and Female Trisuits are crafted for speed. Using a combination of Fastskin technology, LZR Pulse Power, a high stretch and power fabric over the torso and lower body, for a compressive fit, with Endurance®10 fabric over the upper torso and shoulder, for flexibility and freedom of movement. New for 2018 with an improved fit and premium finishes, the Photon triwear range is designed for light speed. Higher chlorine resistance than standard elastane. swimmer’s body for maximum efficiency. segmented design to increase flexibility.